Leo Tolstoy’s classic story of romance in 19th century Russia has received an upgrade to a classic steampunk novel courtesy of Quirk Books. No longer content limiting themselves to the works of Jane Austin, robots have been added to Anna Karenina to create Android Karenina, their latest literary mashup. Like the Quirk Classics before it, Android Karenina takes the text by Leo Tolstoy and remixes it with the sci-fi prose of Ben H. Winters to create a more modern classic. The original book was the complex love stories of Anna Arkadyevna Karenina and Count Alexei Kirillovich Vronsky, Princess Darya Alexandrovna Oblonskaya and Prince Stepan Arkadyevitch Oblonsky and Kitty Shcherbatskaya and Nikolai Levin, but the new text has replaced many of the functions and minor characters with steam powered robots that existed in the original book, a secondary plot involving renegade scientists terrorizing the populace of Russia and other elements to give the book a more fantastic feel. I haven’t read any Tolstoy since college, and I hadn’t read Anna Karenina, but I found this to be a fun telling of the Anna Karenina story. Winters adds a whimsical, fantastic element to the story that creates a more fun atmosphere to the 19th century text while maintaining the original intent of the book. Five books! A retail value of about $100! And what do you need to do to get yourself some sweet Quirk Classics swag? Just go to this link and tell them you read the review for Android Karenina here on JustJon.Net. 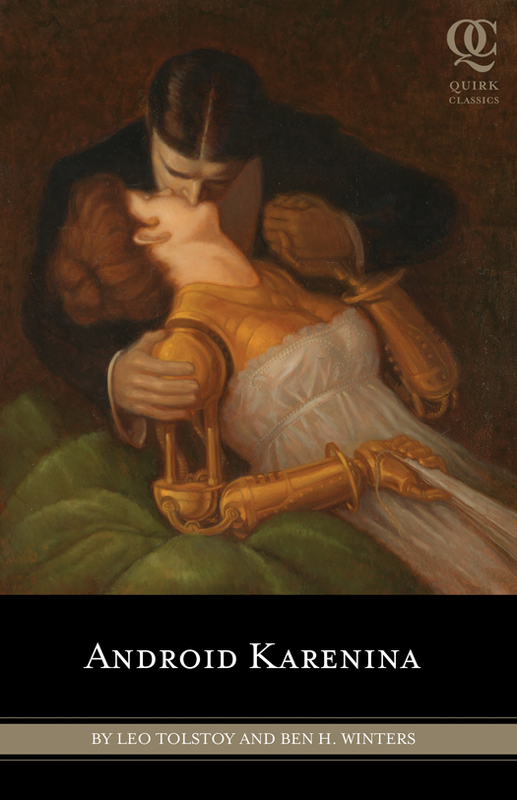 And if you want to buy a copy of Android Karenina to read yourself, you can buy a copy on Amazon.com . The Quirk Classic literary mashup books continue to entertain. I look forward to seeing what classic novels they remix next and reading how they change the next book they give a supernatural/sci-fi makeover to.